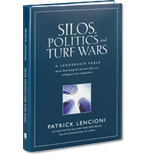 Patrick Lencioni's Training Programs: passion for organizations and teams is reflected in his writing, speaking and consulting. 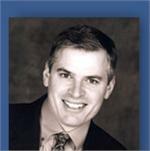 He is author of seven nationally recognized books including Getting Naked: A Business Fable about Shedding the Three Fears that Sabotage Client Loyalty, Five Dysfunctions of a Team, which continues to be highlighted on the New York Times, Business Week, Wall Street Journal and USA Today best seller lists. 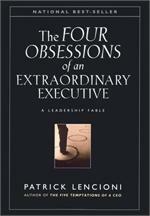 His previous successes include Silo's, Politics and Turf Wars, Death By Meeting, The Four Obsessions of an Extraordinary Executive, The Five Temptations of a CEO and Overcoming the Five Dysfunctions of a Team: A Field Guide. 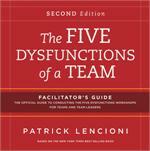 Patrick Lencioni also has video based workshops including Five Dysfunctions of a Team and newly released Three Signs of a Miserable Job and Managing for Employee Engagement. 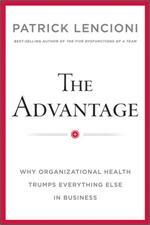 Patrick Lencioni provides a practical approach to achieving client loyalty and trust. 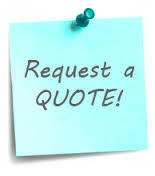 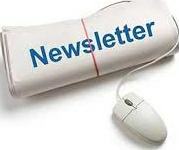 Service firms that practice the naked approach will find it easier to retain clients. 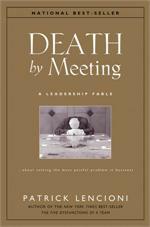 Based on Patrick Lencioni's Three Signs of a Miserable Job, will help managers understand the root causes of job misery and provides action items to develop an engaged workforce. 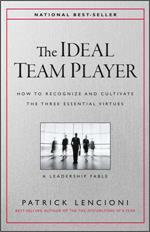 Are we prepared to invest the time and energy required to be a great team? 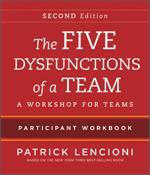 Learn how to overcome any team dysfunctions with this best selling field guide by Patrick Lencioni.